Teachers, parents and children – we’re a partnership! 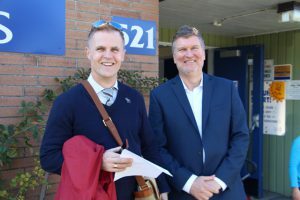 Home Learners Program at Hume Park Principal Jamie Sadler with Island Discovery Learning Community Principal Allan Saugstad…. We focus on a three-way partnership between our BC-certified teachers, parents, and children while respecting individual learning styles and family goals.